A Toronto Bicycle Injury Lawyer Assists With Bicycle Injury Cases. The re-emergence of bicycles as a mode of transportation is on the rise in Toronto. The people who are using bicycles have been afforded particular rights on the road. On the other hand, sadly, mishaps between motor vehicles and bicycles still happen and as many drivers are still not careful enough around cyclists. A claim for injuries suffered by cyclists should be managed by a Toronto Bicycle Injury Lawyer. Therefore, contact a Toronto Bicycle Injury Lawyer at Yermus & Associates to assist you with your claim for benefits and damages arising from an injury sustained in accident with a motor vehicle while operating your bicycle on the road. Cyclists who are involved in vehicular accidents are more likely to sustain severe or even fatal harm depending on the circumstances. Because of the vulnerable nature of cyclists vis-à-vis motor vehicles, cyclists are considered to be pedestrians when determining fault, meaning that the driver of a motor vehicle is considered to be at-fault unless the driver can prove otherwise. Any cyclist involved in an accident with a motor vehicle is allotted the right to claim for benefits from the other driver, if they do not have statutory accident benefits through your own automobile insurance, and damages from the other driver if the other driver is at fault. If you are a cyclist who has been involved in an accident with a motor vehicle, contact a Toronto Bicycle Injury Lawyer at Yermus & Associates to assist you with your claim. Clients can feel at ease that the Toronto Bicycle Injury Lawyers handling their case at Yermus & Associates are experienced in dealing with claims involving cyclists and have dedicated their careers to ensuring that that their clients get the assistance and compensation they deserve. Higher incidents of severe injuries, liability disputes and hit and run accidents, take place when there is a claim for personal injury arising an accident involving both a motor vehicle and a bicycle, therefore it is important that the lawyers handling these claims are well versed in these issues which is why you contact a Toronto Bicycle Injury Lawyer at Yermus & Assocites. 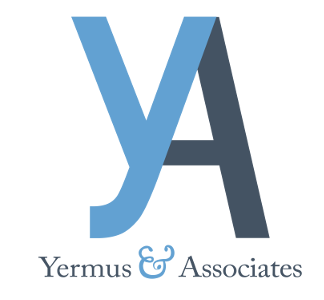 Contact a Toronto Bicycle Injury Lawyer at Yermus & Associates immediately so that your claim is being handled competently and with care from the outset. You can also reach us by dialing 416-229- 4878 (HURT), so that we can assist you in obtaining the compensation you rightfully deserve.